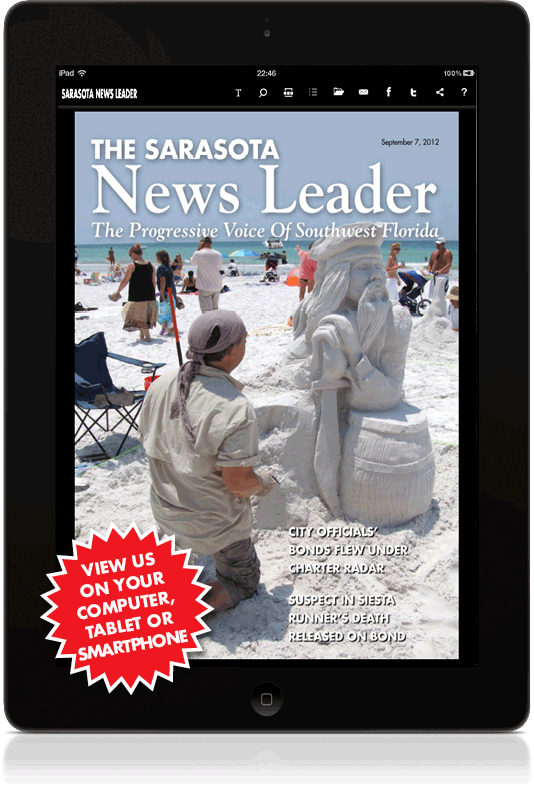 The standalone published version of The Sarasota News Leader will premiere on Friday, Sept. 21, 2012. The cover will look very similar to the production sample above. The full edition, with about 120 pages, will include in-depth news coverage, commentary, features, community calendar and more. It will be readable on tablets such as the iPad and smartphones such as the iPhone. It also will be viewable by using an interactive reader here on our website. If you have not done so already, please subscribe with your email address so that you can be among the first to receive notification for this unique, innovative publication.